We went to Kurt and Barbara’s Oscar watching party Sunday night – complete with red carpet, paparazzi, and bubbly. 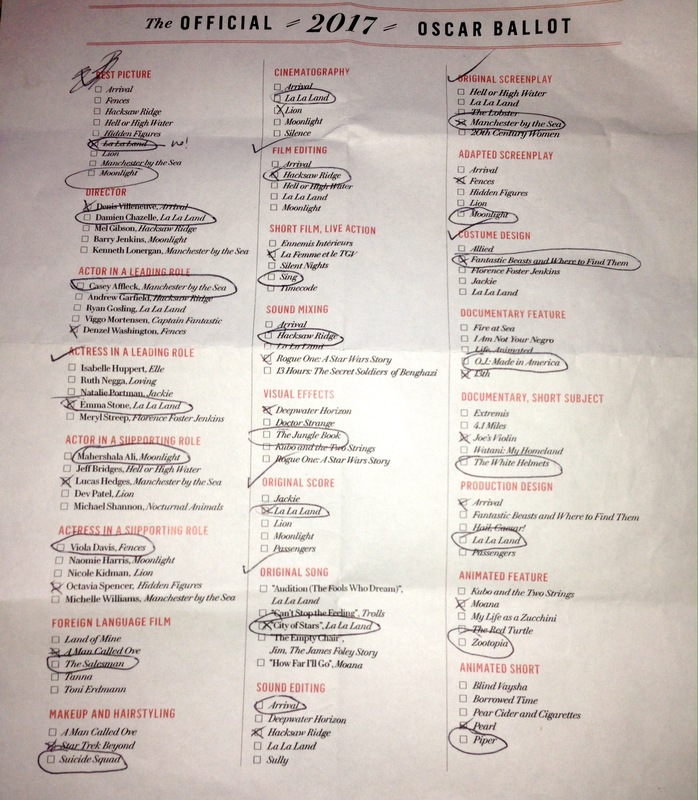 At the beginning of the night, we each had a ballot to fill out with our guesses for winner of each category. Then we marked which ones we got right as the night went on. I got 7 out of 24 right. Not bad having only watched 2 of the nominated movies. But then my hopes were dashed as the best picture winner mixup unfolded. And my score fell to 6 out of 24. Sniffle. But I took the blow with grace and poise. Life will go on. Somehow. Previous Previous post: Hiking Bull Creek. Next Next post: I ♥ Bewick’s.